Try to keep your job at the gas station. 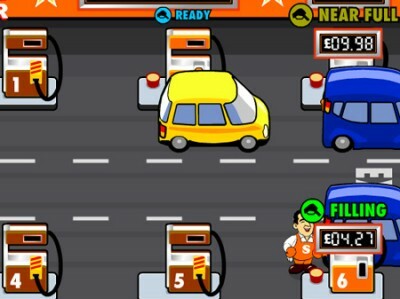 Fill the cars before your boss gets angry. Hurry to the cash register, because the customers might get out without paying and your boss will be furious.